Kapap and Krav Maga are two combat methods of the Israeli Army. Kapap: Krav Panim El Panim means 'face to face combat', Krav Maga means 'close combat'. 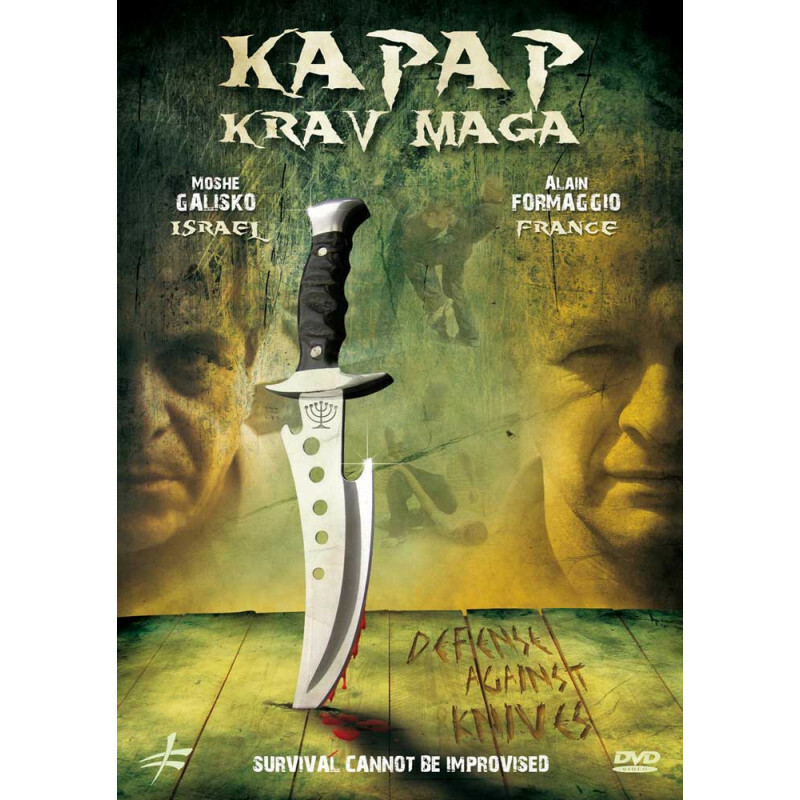 In this DVD, you will learn how to defend yourself against knife attacks with the help of Kapap and Krav Maga. Learn to control and to disarm the assailant who is armed with a knife. The detailed explanations and the different shot angles will help you to learn the techniques. Use your environment and everyday objects in defending yourself against short or long distance threats, round attacks, side and diving attacks, face, back or throat threats. All the situations are shot in the street for 100% realism. Kapap and Krav Maga won't have secrets from you any longer! Instructor Moshe Galisko (Israel) has been practicing martial arts for the last 47 years. He teaches the military elite and works with counterterrorist agencies around the world. He succeeded his father who was a founder of Kapap and developer of the modern Kapap style. Moshe is currently President and chief instructor of the International Kapap Association, Chairman of the Israeli and European Karate Organization (8th Dan Shotokan Karate), Head of Israeli Martial Arts Center (Beersheva), Former instructor for Israel's Special Forces team, and Instructor for CQB-Defensive Tactics. Instructor Alain Formaggio (France) has been a policeman for over 30 years, chief instructor of the training center for Armed Forces in Paris, World Technical Director of the World Krav Maga Federation, 8th Dan expert of the International Federation of Armed Forces and Security Technicians, co-founder of Close-Combat Operational Systems, and a graduated teacher of Savate French Boxing.